The cosmetics industry faced a rude awakening on Friday as beauty behemoth L'Oréal gobbled up ModiFace, one of the leading providers of augmented reality technology to the cosmetics industry (price details for the acquisition were not disclosed). As part of the company's ongoing digital strategy, L'Oréal expects to extend ModiFace's augmented reality and artificial intelligence tools to its 34 brands, which include Lancôme, Giorgio Armani, Urban Decay, Maybelline, and more. In addition, ModiFace, as part of L'Oréal's Digital Services Factory, will collaborate with the company's Advanced Research division while continuing to house its 70 engineers, researchers, and scientists at its Toronto headquarters. "We are thrilled to welcome ModiFace to L'Oréal to become the heart of our digital services R&D," said Lubomira Rochet, chief digital officer at L'Oréal, in a statement. "With its world-class team, technologies and sustained track record in terms of beauty tech innovations, ModiFace will support the reinvention of the beauty experience around innovative services to help our customers discover, try and chose products and brands. We at L'Oréal and ModiFace want to pioneer this new page of the beauty industry and serve our customers with innovative services and experiences." The two companies were at SXSW this week, where L'Oréal demonstrated its ModiFace-powered skincare tool. Among industries that stand as early adopters of augmented reality, the cosmetics industry is at the forefront, and many of the top brands that are on board with the technology use ModiFace's platforms in their apps and stores. Sephora's Virtual Artist AR app uses the Customer AR Module from ModiFace, while MAC Cosmetics has deployed ModiFace's AR Mirrors in its stores. Similarly, Benefit and Cover Girl have implemented browser-based tools powered by ModiFace on their websites. And Estee Lauder used ModiFace for its Facebook Messenger chatbot. 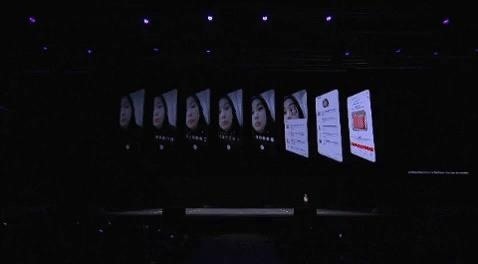 Most recently, ModiFace was revealed to be the technology provider behind the Bixby Makeup Mode on the Samsung Galaxy S9 and S9+. Sephora, Cover Girl, and Amore Pacific are among the brands that will be featured in the app. "L'Oréal's acquisition of ModiFace provides an incredible opportunity to innovate on beauty augmented reality and artificial intelligence at an unprecedented scale, the results of which will shape the beauty industry for the decades to come," said Parham Aarabi, CEO of ModiFace, which he founded 11 years ago. "Our entire team and I are extremely excited to be joining the L'Oréal family, and look forward to the AR/AI-enabled future that we will create together." It's unclear at the moment how the acquisition will impact ModiFace's business relationships. Certainly, Sephora, MAC Cosmetics, and other cosmetics companies will be less inclined to use software and services provided by a competitor, and it would seem unlikely that L'Oréal would lend a hand to other brands through its own technology. The move has other interesting implications for ModiFace's competitors as well. This is an opportunity for Perfect Corp, makers of the YouCam suite of AR apps, and Meitu, makers of BeautyPlus and MakeupPlus, to sway cosmetics brands away from ModiFace's platforms. Perfect Corp's role as a vendor for L'Oréal is now on a shaky foundation as well. We've reached out to L'Oréal for clarity on how it intends to proceed with ModiFace's existing business dealings, as well as Perfect Corp and Meitu for their reactions to the news, but we have yet to hear back from their respective teams.